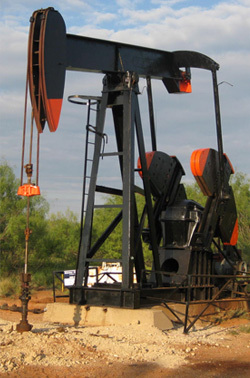 Bralex Operating LLC, a Texas corporation, is engaged in oil and gas acquisition, development, and production focused on proven, well-developed oil and gas basins primarily within the state of Texas..
Bralex Operating LLC, generates a balanced portfolio of projects with high upside potential. Together with its affiliates, Bralex Operating LLC primarily acquires operated properties using either its own funds and/or those of private equity investors. On larger acquisitions and projects, Bralex Operating LLC partners with institutional providers of funding. We also acquire non-operated positions together with operators possessing significant track records whose projects display above-average returns with predictable risk profiles. We continue to grow through accretive acquisitions where performance and value can be enhanced through development drilling, secondary recovery techniques and/or operational efficiencies. Bralex Operating LLC targets mature, long-lived, predictable, high return assets. Return on investment drives all pre-acquisition efforts as well as post-acquisition tactics. OUR INVESTORS ALWAYS COME FIRST! © Copyright ASM Oil & Gas Company, Inc. 2014. All Rights Reserved.